For anyone who's had my mom's sugar cookie recipe they know exactly what I'm talking about - these are the best sugar cookies out there! The key to the recipe is not rolling your dough out too thin and also, not baking the cookies too long because they will keep cooking once they come out of the oven. The recipe card above is one of my favorites - I have my own at my apt, but whenever I'm in NH at my parent's house and pull out this recipe card, it reminds me of all the times we've baked these cookies! The other great thing about these is that you can decorate based on the event or holiday. Most recently I wanted to make some festive holiday cookies for winter so I opted for a pink cookie batter and used cookie cutters in various shapes - my stocking one is one of my favorites, but I also love this mitten shaped cookie cutter! Last year I think I made my most impressively decorated holiday sugar cookies yet - so I might have to top them this year! I'm clearly behind as I still haven't posted about Thanksgiving, so I absolutely must write this one up before Christmas comes this weekend! At first I was told that there wasn't much room for me to do a lot of cooking, as my mother was taking care of most of the food - but then, the night before, when I got home I was told I could cover a long list of things! Fine by me! This year we just had dinner the four of us, and then got together with extended family for dessert so here goes - my thanksgiving in pictures! I got up pretty early to get started, but even then - by the time I got up my dad had already gotten the turkey ready to go and into the oven. Last year I tried to brine the turkey and I didn't find that it made a big difference in flavor or juiciness, so no brining this year. 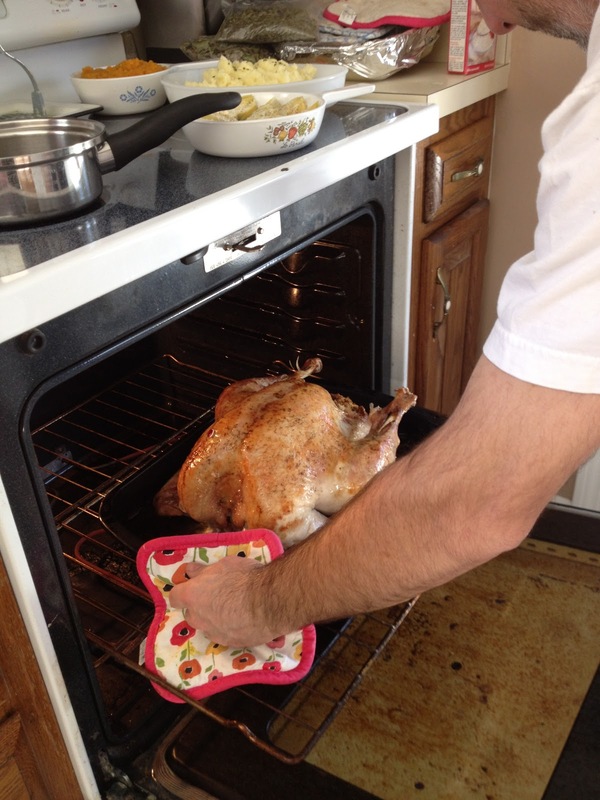 Still very important though to baste throughout the cooking process. Weekend Full of Fun Food in Washington, DC! Just last weekend I got to head down to Washington, DC for a long weekend visiting good friends! One of my favorite parts of city-hopping on weekends is getting to check out new restaurants and to cook with friends I'm visiting! I got to both of these this past weekend - as well as re-visit some old restaurants I loved when I lived in DC. Of course, all of this is better when you get to enjoy good food with good company, so thanks to all my friends down there for a fabulous weekend away! 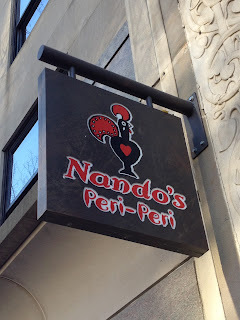 Friday I dragged my friend to Nando's Peri Peri near Dupont Circle - this delicious Portuguese chicken place that I discovered last summer. They also recently opened a 2nd location near Chinatown - so I guess other people have discovered them too! They have different spice levels of their chicken and you have all kinds of options - from salads, to wraps, to roast chicken dishes with sides. Lots of options for everyone - and while I usually go for their mildest chicken it still has a ton of flavor. 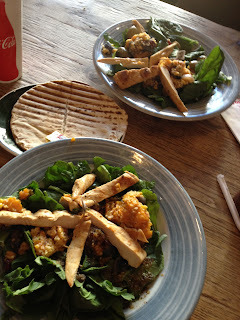 This time around both my friend and I ordered the butternut squash and couscous salad with the chicken on top, with a side of grilled pita - oven roasted butternut squash and red onion with olives, grilled corn and couscous, served with their house dressing on a bed of greens. Even at peak lunch hour on a Friday we didn't have to wait long and by the time we put our order in there was a table ready for us. We both were impressed with how organized they were. After walking by this place a number of times I finally got to try it out a couple weekends ago - and now I'm on an "interactive cooking" kick! Think Japanese Hibachi where they cook right in front of you - but with Shabu Shabu cooking you actually do it yourselves! I'm sure there are some people that go out to dinner so that they don't have to cook, but this is different - it's like an activity and dinner all rolled into one. Plus - since I like to cook, it only makes sense that I really enjoyed myself at this place! When you walk in you'll see that every table has a stove top right at the table - then you'll have to set to work navigating the menu. Our waitress was very helpful and explained all the decisions we had to make. Essentially you choose the broth flavor and the types of things you want to cook in the broth - so many options ranging from 5 different beefs to seafood or a tofu variety plate. Lots and lots of options! We started off by choosing the House Special Broth (the pots they bring are divided into two sections in case you want to choose two different types of broth or two different spice levels) and agreed on the Boneless Short Rib Beef as our main protein. The dishes are listed individually, but it was plenty of beef to share and I think would've been a lot for just one person. Every main entree is served with an assorted vegetable platter (on the right there) and your choice of Udon, Vermicelli or Jasmine Rice. As I've said before - I hate wasting possible 'ingredients' so whenever I have ripe bananas I can't stand the thought of throwing them away even if I don't have anything specifically to bake for. With 2 ripe bananas sitting in my fruit basket, calling my name, I decide on making muffins - knowing how much I like the peanut butter and banana combo I thought it might be interesting to make banana muffins with peanut butter chips instead of chocolate chips. The oatmeal and wheat flour make me feel like I'm at least getting some fiber into these muffins, but they are by no means healthy given the entire stick of butter the recipe calls for. Quick Spinach Dip in Boule Bread! This spinach dip is an easy go-to for a party appetizer - everyone always seems to love it and there aren't 5 million ingredients that you need to worry about. Mix everything together and refrigerate for a good hour before serving. Cut out and scoop out the center of a boule bread - use the bread you scooped out to dip into the dip, and spoon the dip into the bowl of the boule. You can also put out some baby carrots, celery or other vegetables to dip in! 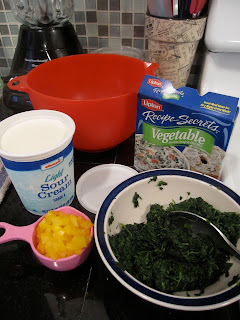 *Don't be tempted to skip the step where you squeeze out the water from the spinach - there really is a ton of it in the box since it's frozen. After squeezing mine out I had a whole cup of green spinach water which is NOT an ingredient in this dip! I was looking to just make plain old, traditional chocolate chip cookies and found this Neiman Marcus Chocolate Chip Cookie recipe - it called for ground oatmeal (so I put the oatmeal in a food processor until finely ground). It gave the cookies an oatmeal-y taste though - and was definitely a noticeable ingredient, but they still came out good. I came home to bake cookies tonight and realized I only had about 1/3 cup of white sugar left - and it was way too cold to go back outside to the grocery store. So I set out to find a recipe that would work with just brown sugar. Surprisingly I found quite a few and set to work. 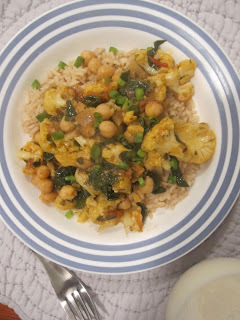 One of my favorites food blogs is Simply Recipes (link at the bottom left of my own blog) - and I really feel like her recipes are reliable and tasty. That's where I got the base for these, but as usual - I changed it up a little. Don't even try the batter - it might just be better than the cookies themselves. One of my fave lunch spots in Harvard Square is Veggie Planet - as you can guess by its name it is a vegetarian restaurant, with lots of vegan options/alternatives as well, and they've been open for over a decade. 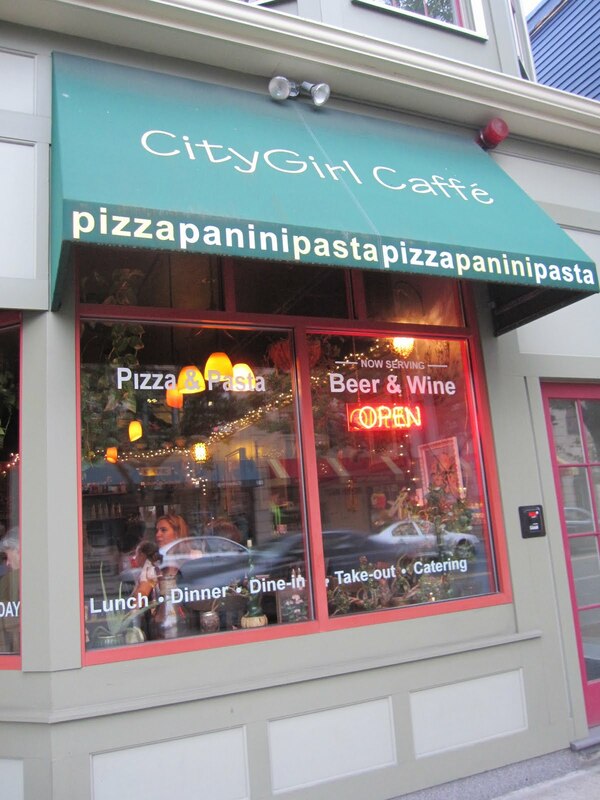 They have daily specials in addition to a great menu of dishes that can be put on top of pizza dough, coconut rice or brown rice, plus salads, soups and other entrees like mac and cheese and peanut udon noodle salad. I like their lunch special - 1/2 pizza with salad or soup, and my go-to is their "Henry's Lunch" - roasted butternut squash, caramelized onions, rosemary and sage, goat cheese and asiago on pizza crust. Vegetarians and meat eaters alike can find something tasty and very filling for lunch here. I've never ventured to try their brunch so when they decided to open a sit down, diner style version of their restaurant in Central Square I was quick to try it out. Veggie Galaxy is a diner style restaurant with many of the same great concepts as their smaller Veggie Planet, but with all kinds of new menu options as well to keep the two menus a bit different. My friend and I ventured there during the Head of the Charles weekend thinking that since it was outside the main Harvard area - it would be less crowded. We were right! No line on a Sunday morning at 11:30am for brunch - I'll take it! It took us a really long time to read our way through the menu - and so many of the items sounded good. My usual indecision led me to a toss up between savory and sweet. 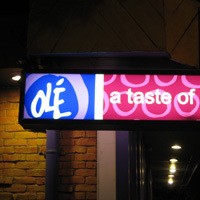 After trying to get a reservation at Rendezvous in Central Square, they didn't have anything but really late openings so we went back to our list of restaurants we've been wanting to try - we all agreed on Olé in Inman Square. We were able to get a reservation for 8:15p on a Friday night for our group of 7 and they seated us right away - even before our whole group was there! This restaurant is pretty big - it's separated into a front and back room, and the place has a nice festive feel to it. Most of the group started with a variety of drinks - ranging from the Olé Gimlet to their traditional margaritas, sangria and Mexican beers. My friends who had been there before said we must get the guacamole made at the table - so we ordered two of those, which was a perfect amount for our group size as you can see from the empty bowl below. They also brought out a untraditional salsa that wasn't chunky, but rather very pureed and had a sort of smoky tomato taste to it. I have a very bad habit of buying groupons and forgetting about them - then realizing I need to use them in the next 48 hours. Thankfully my old college roommate was around to help me use a last minute forgotten coupon to a new Turkish/Mediterranean restaurant in Inman Square - Bosphorus. I think we both really enjoyed our selections - and chose a few dishes to share so we could try out some different dishes. Some of the reviews online suggest that their service is slow, but I think because we were there earlier in the night and on a weekday, we were fine. I would definitely go back! The atmosphere is nice - seems sort of middle eastern with fun lighting. This could be a good group restaurant with plenty of large tables. The menu is extensive so it made it a little difficult to choose, but the nice part is that many of the dishes come in small or large, so you can opt for small plates to share or just ordering individual entrees. We started with a cold dish - Stuffed Baby Eggplant with tomato ragout, bell peppers, goat cheese and tabouleh. 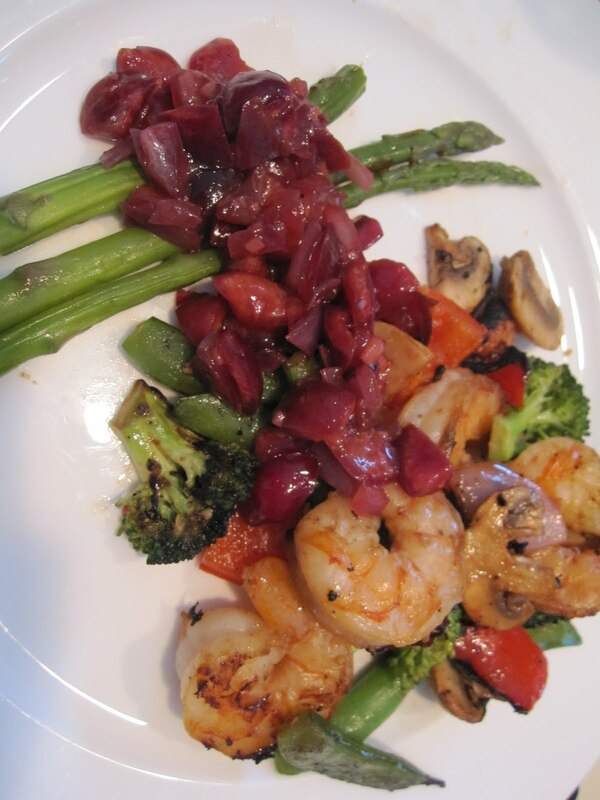 We both expected the dish to be a warm appetizer, but it was delicious - we were very happy with this order. It's easily shareable - I don't think I could eat this all by myself and still have room for another dish. At the beginning of this week I attempted to plan out everything I would cook for the dinner this week . I've been a bit lazy about trying out new recipes and cooking anything extensive - especially when I don't get home from class two nights a week until 8pm . But tonight I stuck to my cooking plan! I had seen a couple recipes for Cauliflower and Chickpea Curry over Rice - so I thought I'd try it out. I realize this is a lot of ingredients but I think it's because I wasn't following a recipe. I have a bad habit of throwing everything but the kitchen sink in a dish when I'm not following something because as I cook I keep thinking of things I think might enhance the flavors/dish. Unfortunately, I didn't track my amounts, but with this recipe - it's a bit of a 'how you like' situation. I don't like my dishes spicy, so I use less curry paste. I tried to at least estimate the amounts I used here! I know, I know - it's been well over a month since I've written any new posts. I apologize - it's been one heck of a month, with lots of weddings, family, friends and the start of a new fall course. With all of my weddings behind me, I'm back and with lots of foodie things to share with you! After a lovely fall afternoon apple picking my friend and I worked up an appetite so we decided to make some dinner together at her place. Soon to come is some sort of yummy fall apple dessert with all of these great fresh apples! I had bought a package of tofu a few weeks back that I needed to use so that was an easy selection. Our go-to with tofu has been stir fry so far, so we went with that and decided on a peanut sauce, like you often find in thai restaurants. The nice thing about this peanut sauce is that you can use it on almost any sort of stir fry - you don't have to like or want to use tofu. It would go great with chicken or shrimp - or even just lots of vegetables! I've had this place on my 'to-go' list for a while now and finally made it there at the end of July with my friend to kick off her post-bar celebratory weekend! We both really liked it here - cute atmosphere, local feel, great food, unique menu options, and on top of all that, great prices! They offer brunch, lunch and dinner - so I hope to be heading back soon to try more of their dishes out! When my friend and I decided to cook dinner in one night a few weeks ago we decided on trying out a recipe for chickpea burgers. I thought a little summer salad would be a good side, so I came up with this mixture of ingredients to highlight some of the fresh basil from my porch! It was a great refreshing salad to put together but it's best served soon after you make it - so don't make too far in advance. Sometimes salads can get boring if you make the same kind over and over again - so I decided to try out a couple new ideas that I've seen at restaurants a couple times. Once is a nice filling salad and the other is a bit lighter, but both are perfect for a dinner party first course when you're trying to impress! More than a month ago I stopped by this great event organized by the Museum of Science as a part of their Let's Talk About Food Series. A big shout out goes out to Lisa and her team from the MOS - as it turns out, the team I used to intern with at the MOS was running the event. Their goal was to bring together people to celebrate food, health, cooking and science - all along the Cambridge Parkway and the Charles. I planned to just swing by and look around, but ended up staying for a good four hours. Due to the rainy day the turnout wasn't great - but it meant that I got great front row seats and lots of face time with exhibitors. They had a big tent set up with the main stage - where various local celebrity chefs presented different dishes and sessions, in addition to a long line of exhibitors running all along the Charles. The Museum of Science was also marketing their new exhibit - Around the World in 80 Diets, which I'm hoping to check out next. I arrived just in time to see Jody Adams (of Rialto in Cambridge) present her session on cooking with lobster - and the program listed a special guest, who turned out to be Deval Patrick! I was a big fan of Adams on Masterchef on Bravo, so this was so fun for me to watch. She talked about her new restaurant coming - called Trade (at Atlantic and Congress in South Boston), and the importance of cooking within the season. They introduced Governor Patrick as a secret foodie who likes to be the cook at home for his family. Just like me, he talked about going to farmers market, seeing what looks good and then cooking what he finds! He even joked that he often catches his State Troopers on his security team watching the Food Network. They showed us how to split a lobster for their recipe - a Lobster Salad with Citrus Vinaigrette. The vinaigrette sounded delicious - with tarragon, lemon and orange zest, olive oil, dijon mustard, vinegar, grilled corn, scallion. I'm a total sucker for breakfast and on weekends in particular I like splurging on a breakfast that takes a little longer to make since I don't usually have the time before work. At the same time, sometimes breakfast can be heavy so I this was my attempt at making a healthier waffle. You might be thinking - chocolate chips, that's not heathy, but, if you use dark chocolate and not a lot, it's okay! Everything in moderation, right? 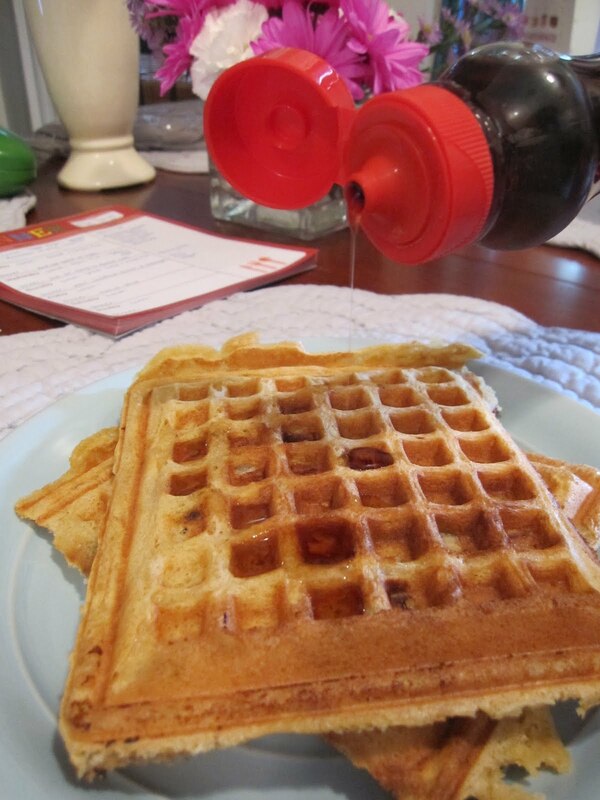 For most waffle or pancake recipes the usual process is to mix all of the dry ingredients and then mix all of the wet ingredients, then combine the two just until mixed. This recipe is no different. 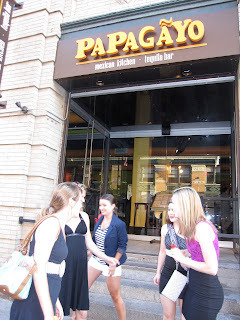 It's a good thing I waited to write this post about Papagyo because since I went for the first time I've been back a second time! The space is where Achilles Project used to be - a restaurant I never quite understood. Because I used to work in this area I tend to get back there a little more than the usual person - there's not much else in the area, though the harborwalk is nearby and that's a great walk to take after being full from dinner! The restaurant space itself is rather large - plenty of room, with both high top options by the bar and big wooden tables perfect for groups of 10+. The walls are painted really bright colors with lots of paintings on the wall to fit in with the mexican theme of the restaurant. They call themselves a "mexican kitchen and tequila bar," and I think that totally fits the bill. The service was a little slow but the food itself comes out really quickly. They have a great drink menu with lots of interesting options and the margaritas are served in giant glasses more like goblets! I've tried the traditional margarita (strong!) and the peach mojito - both delicious. The food prices are pretty inexpensive, and the drinks are reasonable if not on the slightly steeper end but remember you're getting quality and quantity here. After a recommendation by a friend, two of us decided on the fish tacos. The other two got the shrimp and avocado salad, and one of the enchiladas dishes. The other big draw here is the guacamole! They make it right at your table and you can choose how spicy or mild you'd like it - for $8.95 it's a little steep but it's a really big portion that will get you right through dinner. The fish tacos came with 3 tacos, but I almost wish it had come with 2 tacos and a side of beans and rice rather than eating the same 3 tacos and that's it. I did like that the fish wasn't fried though, which you often find with fish tacos. I also tried the Verde Enchiladas, which were a tiny bit spicy for my taste but still yummy. I love tomatillos - so whenever I see anything with those at a mexican restaurant I'm tempted even if it says spicy right on the description. The second time I came here was actually for a bachelorette party, which worked out great. They have this great hightop group table called their 'tequila table' because it's surrounded by 2 walls of tequila bottles. It's reserved in two hour blocks so be sure to call pretty far in advance for a weekend night. Just going with a friend or a couple friends? As I mentioned earlier, this place is pretty big and draws an after-work crowd, so I wouldn't worry about having too long of a wait. Definitely recommend checking this place out, especially if you work or live near the South Station/Fort Point area! Dinner with Friends - you don't always have to go out! Sometimes I find myself looking at my calendar and finding that I have dinner plans every night in a given week - I don't like to go out to dinner that much so if I'm making after-work plans a good solution is cooking in! It's more affordable and certainly better for you - and your apartment is definitely BYOB! Months ago my coworker had me over her condo for dinner - and given the late spring timing, we tried out a dish with cherries, which we both really ended up enjoying. It was good for after work too because it didn't take too long to put together. Ever since this dinner whenever cherries are on sale I try to find a new dish to try with them - they're not just for making pies! We prepped the ingredients first - pitted and sliced the cherries in half, sliced some red onion, made a simple champagne vinaigrette dressing and tossed everything together with arugula. Next time it's a Tuesday and you're looking for something to do after work - I have something for you, if you're willing to head to the South End that is! 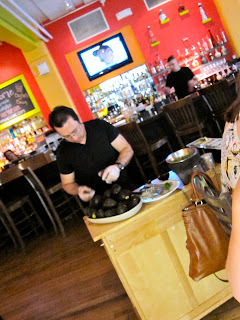 From 5-7pm most weeknights Masa has a great happy hour deal on their tapas bar menu. For $5 you can get a little taster of 10 different bites from the menu, with things ranging from a chili almond stuffed date to a poached shrimp with tostones and salsa. It's probably difficult to share since it's just one bite, but for $5 you can probably manage to order one for each person! The drinks are great too - last night I tried the Raspberry Mojito ($9) and would absolutely order it again, delicious! My friends went more traditional opting for a glass of wine and margarita. Don't worry about getting a spot at the bar - we were the only ones holding the place down until almost 6pm. After Masa we made our way down the street to Tremont647 for their $2 Taco Tuesday night!! This has been on my radar to try out for a while and I'm glad we finally did. The prices were reasonable, especially with their $2 taco menu and the food was pretty good. They have a small patio area out front, but it was way too hot to be outside so we opted for a nice table inside. It's pretty loud there but we were glad to not have a wait for a table. We started with drinks - I enjoyed my choice at Masa better. I tried their special drink of the night - a Watermelon Daquiri, thinking it would be frozen, but it was on the rocks and didn't taste a lot like watermelon. My friend tried their Raspberry Vodka Gimlet and loved it though. We started with chips, salsa, guacamole and their "sides plate" - and be warned, while I'm super sensitive to spicy things, it seemed like everything had a bit of a kick to it. Not enough to stop me from eating though! 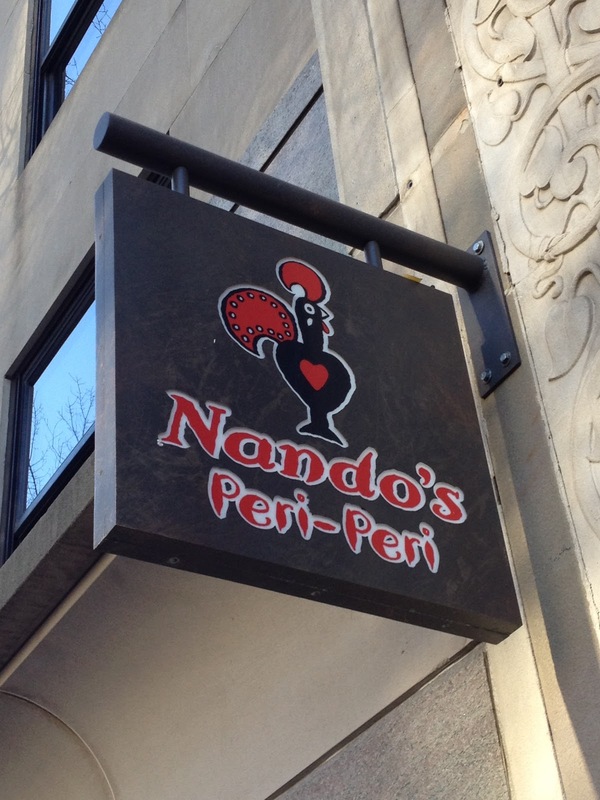 The service was great - food came pretty quickly. Our server suggested 2-3 tacos per person, so we listed and each ordered 3, plus a couple sides to share - we got the plantains and the rice and beans. Plantains were yummy - loved the banana guava ketchup that it came with! Apparently the tacos change every Tuesday, with some staples. We tried the chicken, pork and fish ones - I think the chicken was my favorite and I didn't like the fish. It was way too fried and hard - definitely wouldn't get that one again. The chicken taco had chopped up canteloupe salsa in it and the pork had a mango salsa I think. With the sides and drinks I probably would've been fine with just 2 tacos. The server also convinced us to try one of their desserts and if I may say so, it was a flop. It was a chocolate crepe with mango ice cream on top, but for $7 price tag and the tiny portion it was definitely not worth it. I mean, the crepe tasted good, but I think we each got one bite and we were playing nice and sharing well. So if you're craving dessert I'd say skip it there because there are plenty of other dessert options in the area - like South End Buttery (cupcakes and other treats), Picco (ice cream) and probably others I'm unaware of!